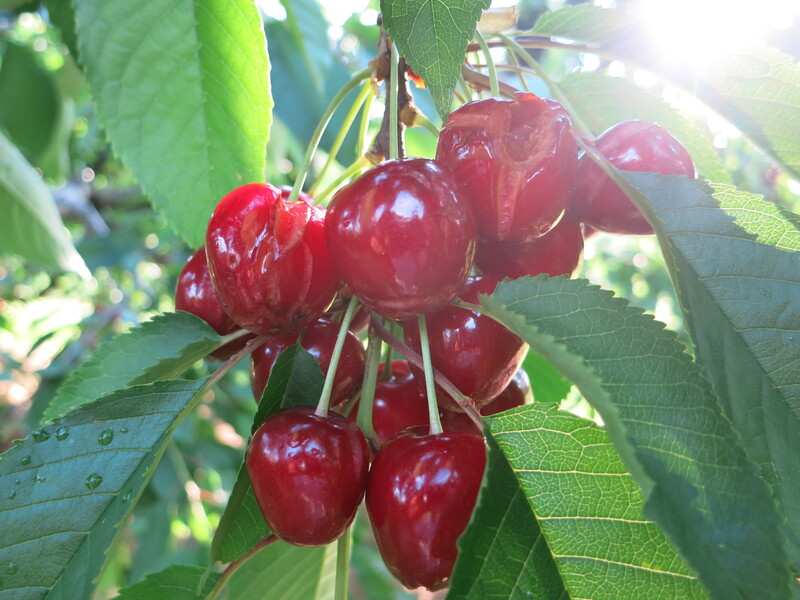 Cherry season – certainly the best of times and the worst of times on the farm. There’s nothing so beautiful as a cherry tree hanging heavy with ripe, red cherries. And what a luxury to go through the orchard grabbing cherries & eating as many desired. Then to top it all off, they’re not only delicious but healthy too! But cherry season is also one of the most stressful times of the year. 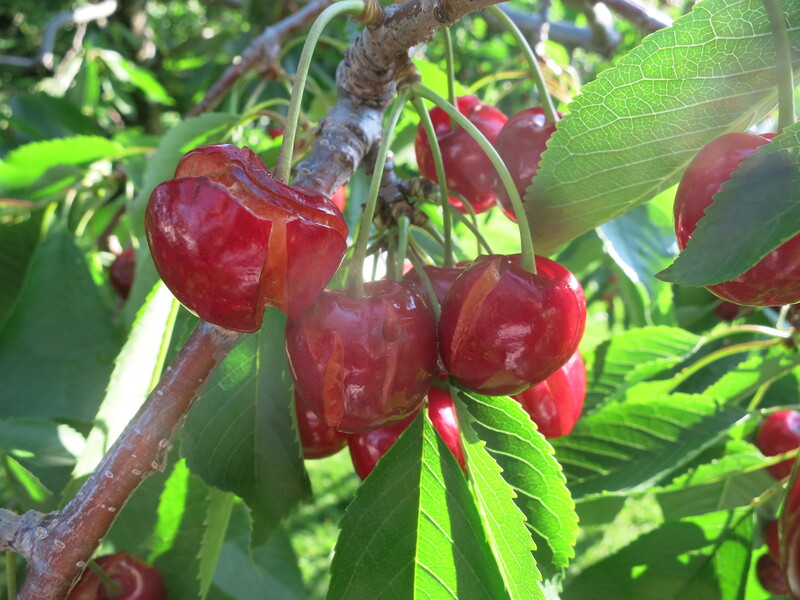 As cherries begin to colour, they are attractive to insects, especially the cherry fruit fly (ie worms) and birds, subject to rot, and extremely susceptible to cracking or splitting from rain. The insects and even the rot can be controlled to a certain extent by pesticides. Birds are more of a challenge. Some farms use bird bangers to try and scare them. Others stretch shiny, reflective ribbons through the trees or hang balloons etc but none of these are totally effective. By far the greatest peril is rain, especially rain followed by bright, hot sunshine. This causes the cherries to swell & burst, or crack. This past weekend we received a lot of rain again – just over 60 mm. 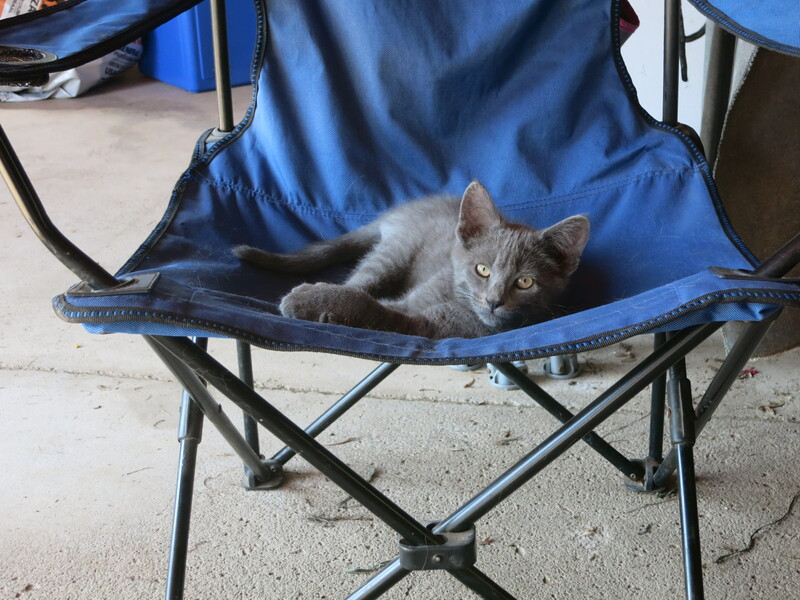 This caused the cherries to crack … and crack …. They end up looking much like popcorn, and then rot very quickly – not a pretty sight! The few cherries that we picked on Friday, before the rain, were almost perfect. 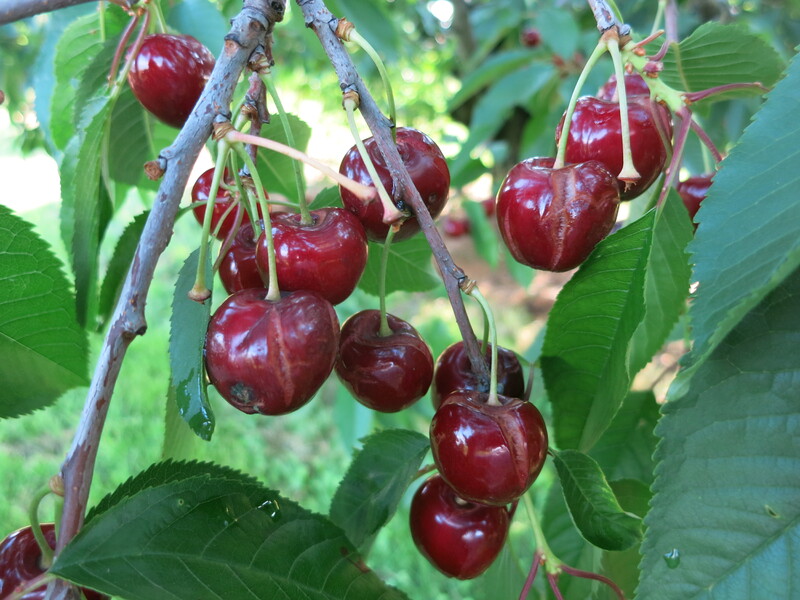 The cherries we picked today, after the rain, were almost 100% damaged. It is a big financial loss for us and a big disappointment for our customers. Ripening with the cherries are red raspberries. This is probably the fruit with the heaviest crop for us this season – they look amazing! 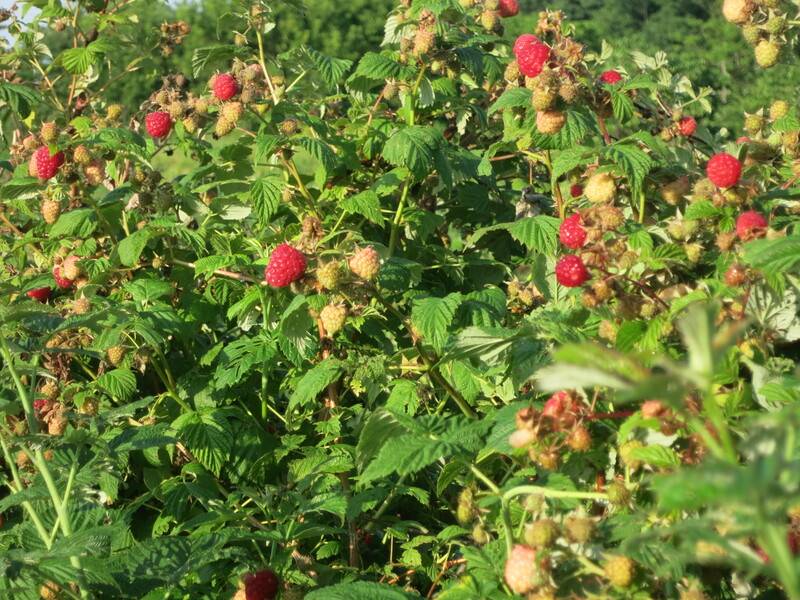 The rain is beneficial for the raspberries as it helps them to grow bigger. But it can also cause them to rot. We are optimistic for a good harvest this season. Sweet cherries, red beets, snow peas, lettuce mix, broccoli and raspberries (full shares only). 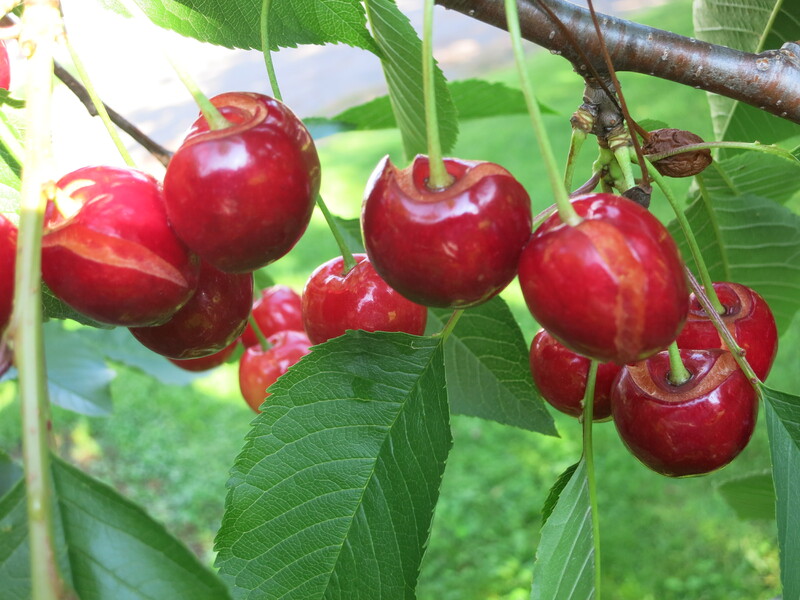 Because of the weekend damage to the cherry crop (see explanation above), there will be limited cherries in the CSA boxes and the cherries will be cracked. This means they look bad, but still taste good. But eat them quickly as they will spoil quickly! The red beets are baby beets – small, sweet & delicious! The 2nd planting of snow peas is producing now, so quantities are increasing. Remember that snow peas are just as good (or better) eaten raw, as cooked. We like to eat them in our salads. The lettuce continues to thrive and is part of your CSA box again this week. Most of the broccoli will look slightly different this week. We have almost finished our normal broccoli heads and are now picking baby broccoli or broccoli stems. 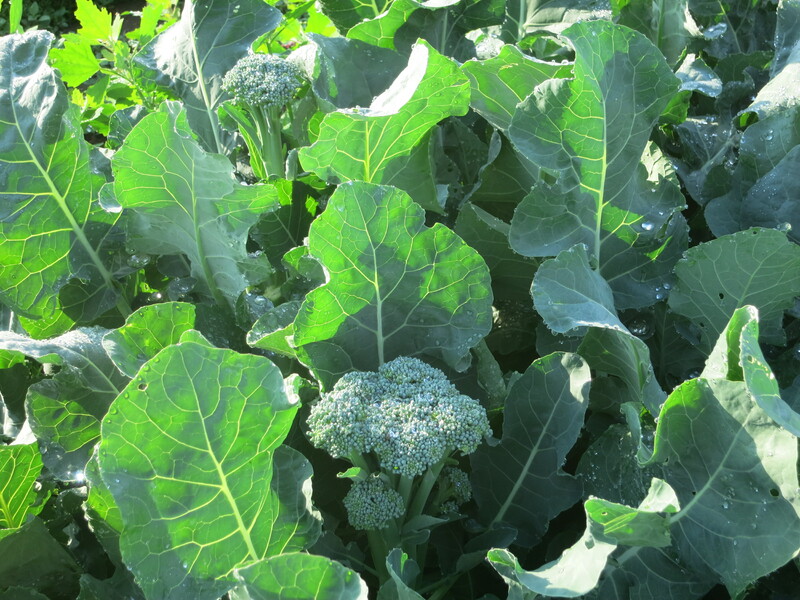 They taste the same, but don’t produce big heads, but rather small broccoli stems – lots of them. They are supposed to keep producing these for weeks & weeks. It’s our 1st time growing this & we’re excited to see how they turn out. Tell us how you like them & if you taste any difference. 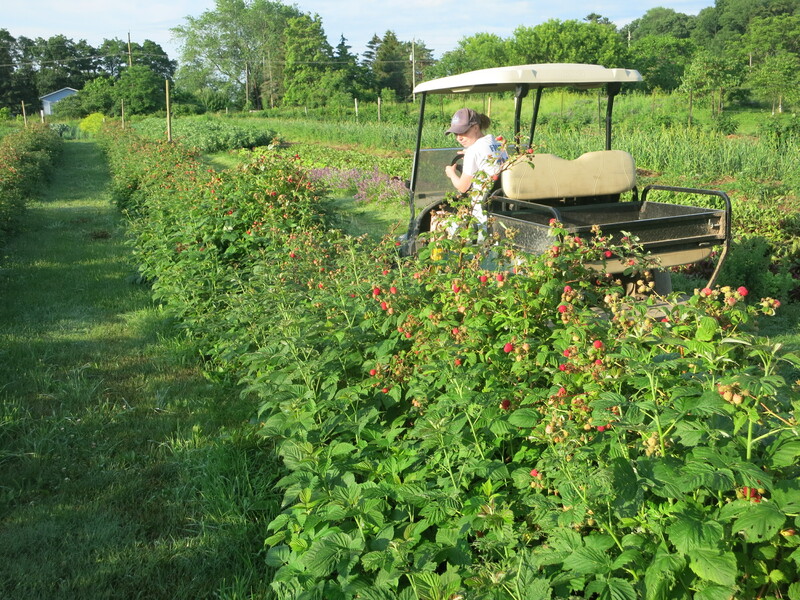 Raspberries are just starting and there is not yet enough for all shares. Tuesday pick-up will only have raspberries in the full share boxes. By next week everyone should get raspberries. Maybe even by Friday? Depends on the weather as usual! Please remember to return all containers so they can be reused! A CSA pick-up reminder – If you miss your pick-up, please call us that day & we can make arrangements for you to pick it up the next day. We do not save your produce beyond the next day. 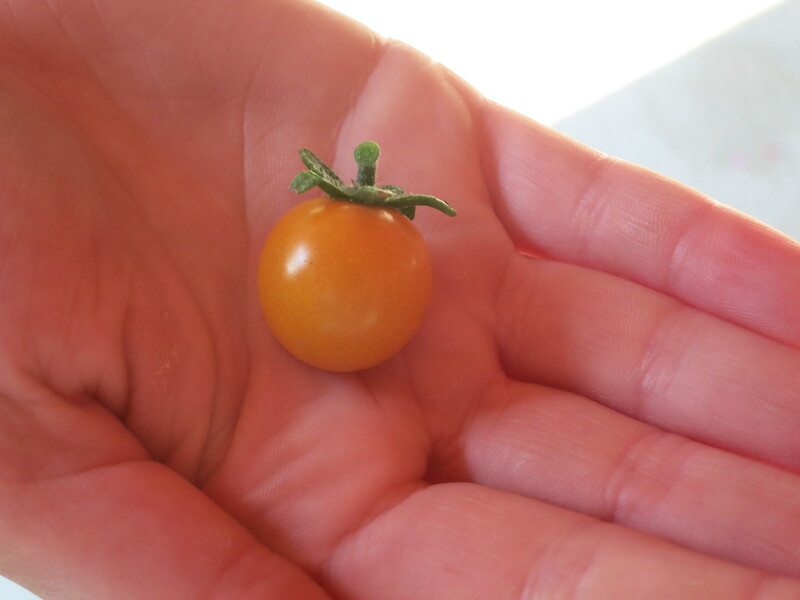 Looking ahead … we picked our 1st cherry tomato today. More are coming! 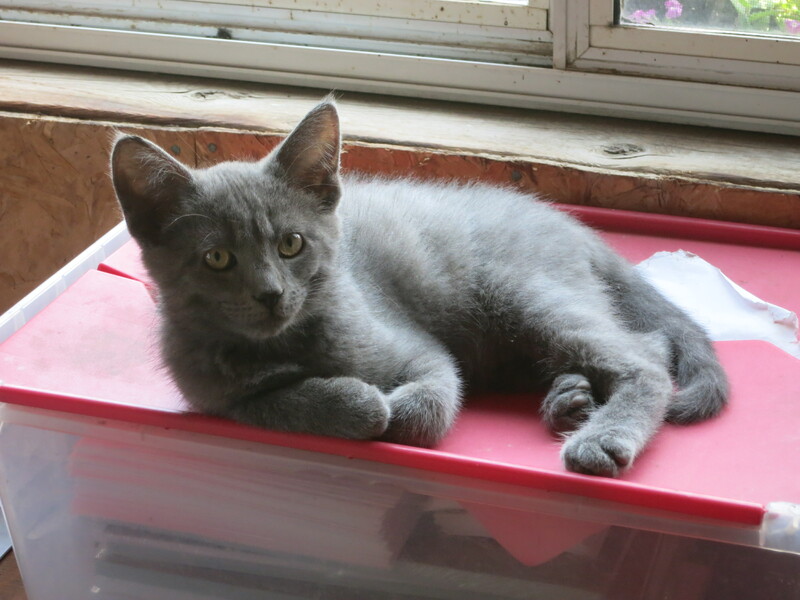 Here are Flynn & Ryder, the latest additions to our farm.